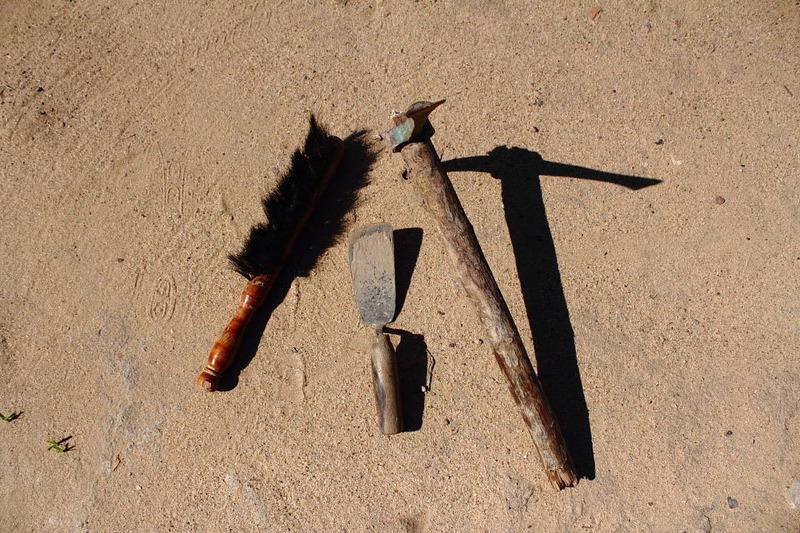 Photo story about the Postman who is also and amateur archeologist. It’s all in a day’s work for postmen to stamp and deliver letters from all over the world, but what would you call a postman who delivered messages from a different millennium? That’s exactly what the retired postmaster of Dholavira post office, PIN Code 370165, did. And he won the Indian Postal Service Award for his work. Not for delivering messages to the residents and soldiers of the Border Security Forces in this remote village sitting on top of a raised ground, an Island name Kadir in the middle of the dry Rann Of Kutch, but for his work in archaeology. 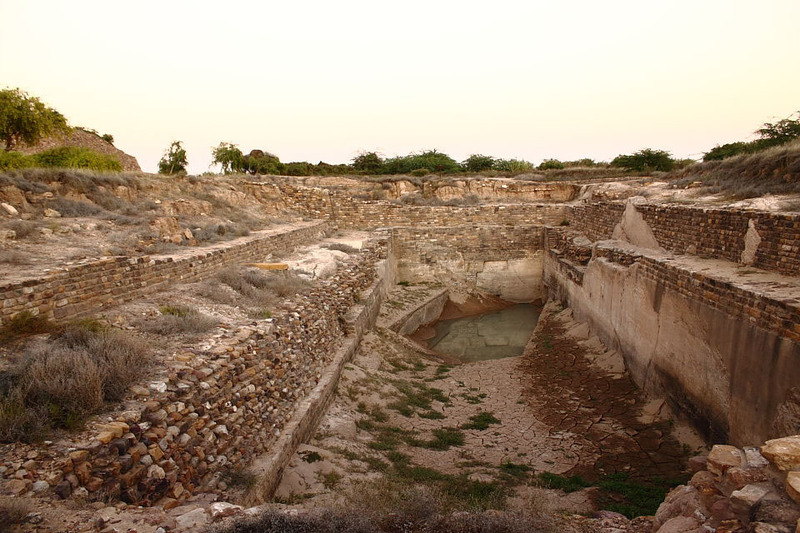 The remains of Dholavira, a city that thrived as a trading centre during the good days of the Indus valley civilisation was first discovered in 1967-68 by JP Joshi but the excavations have been going off and on since then and earnestly only since 1989. The locals say because of the constant reminders of the postman who kept digging up interesting messages from the past. The archaeologists came and left, but one person was a constant fixture as the wonderful city that we now call Dholavira slowly revealed itself to the world – the postmaster. 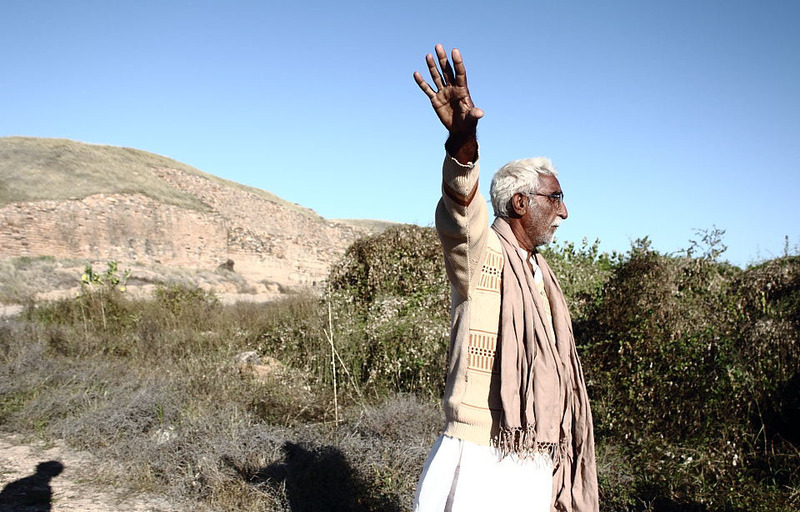 He took a keen interest in the things that have been excavated here and like Ekalvya, he observed and learnt the science of archaeology from the ASI officials. Today, this retired postmaster is a daily visitor in this ghost city that is left in the hands of a couple of temporary casual workers who once assisted the archaeology teams. 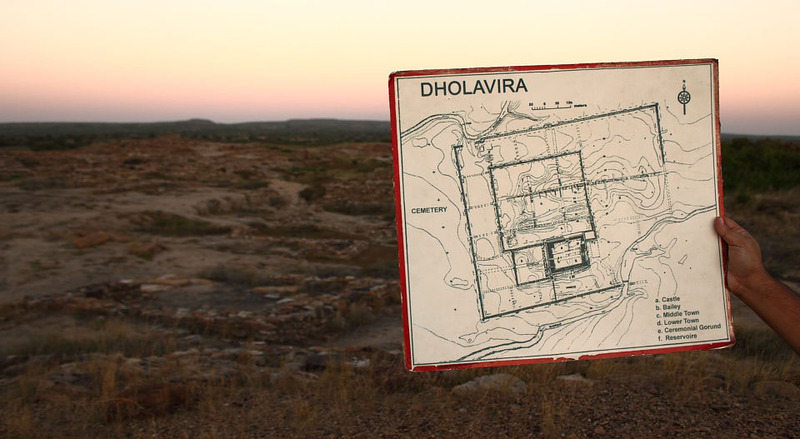 And if you happen to go to Dholavira, you now know who could be your best guide. Ask for the Postmaster Kaka. The most unique aspect of Dholavira city are the reservoirs. The city is surrounded by massive reservoirs that stored rain water from a seasonal stream. 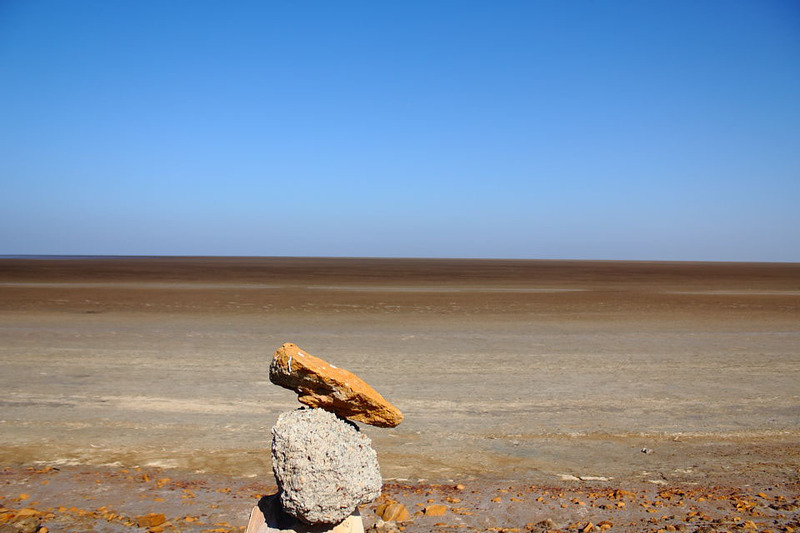 Built in the precision Indus Valley Civilisation fashion, the water supported a trading city that was connected to the rest of the world when what is now the Great Rann of Kutch had easy access to the sea. Read about Dholavira’s unique water harvesting reservoirs here.